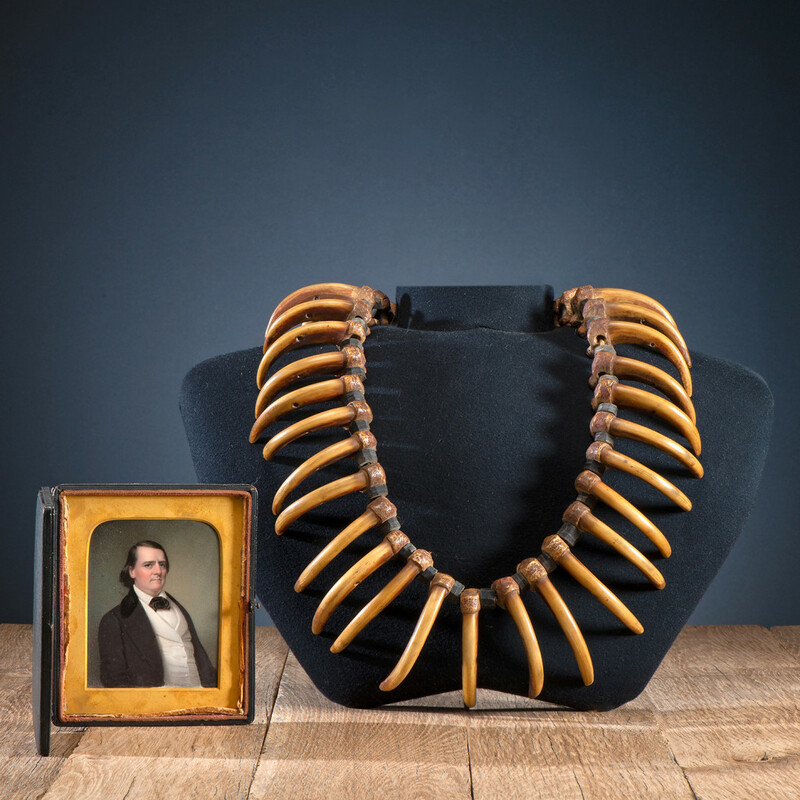 CINCINNATI, OHIO — The top selling lot in Cowan’s American Indian and Western art on April 5 was a grizzly bear claw necklace that brought $60,000, more than double expectations ($15/30,000). The necklace had descended in the family of the original owner, Thomas Willard Hough, and was accompanied by a miniature portrait of Hough. The lot saw competition from all sides, going to an unidentified buyer bidding in a crowded saleroom. See a future issue for an extended sale recap.